Piloted by Captain Euan Dickson, the first flight of the Canterbury Aviation Company’s new airmail service left Christchurch at 8 a.m., carrying several hundred letters to Ashburton and Timaru into the teeth of a south-westerly gale. George Bolt had made the first official airmail flight in New Zealand in December 1919, from Auckland to Dargaville. The Canterbury Aviation Company hoped to go one better with a regular service using an Avro 504K biplane. This failed to gain the custom it needed to make a profit and closed in April. Bolt’s attempt to establish a regular service between Auckland and Whāngārei using a seaplane also hit turbulence. 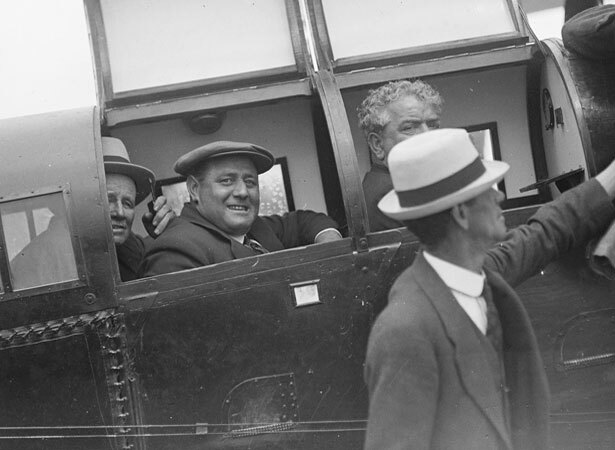 Sir Henry Wigram had established the Canterbury Aviation Company as a private flying school in 1916. As New Zealand had no air force, the company trained pilots for service in Britain during the First World War. In 1923 the New Zealand government purchased the land and assets of the company for its newly formed air force. Renamed ‘Wigram’, the airfield was the RNZAF’s main training base until 1995. We have 9 biographies, 1 article, related to New Zealand's first regular airmail service begins .